Our "Thank You" gift suggestions have all been researched and carefully chosen by men and women, boys and girls of various ages and interests, so you can be sure that the gift ideas we present will be things that they are likely to really appreciate. 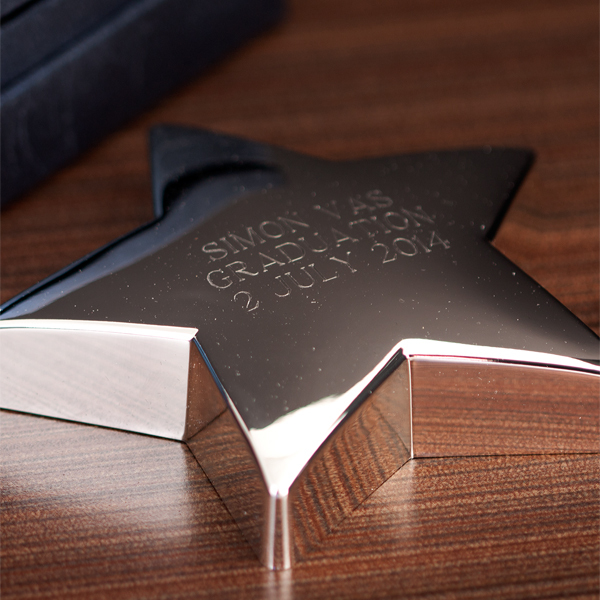 Tell someone special what a star they really are with this engraved personalised star paperweight. Perfect for saying thank you, well done or congratulations. 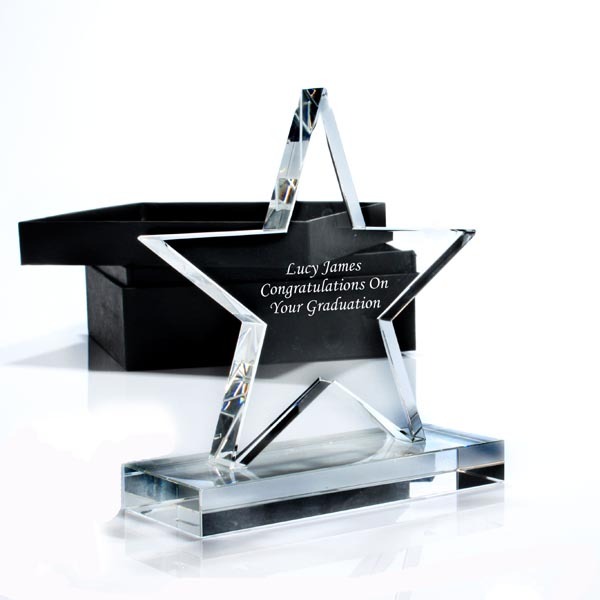 This stunning Engraved Crystal Star is a perfect way to thank someone, or tell them what a star they are to you. Give this Personalised Crystal Star to someone you love. This personalised bottle of wine makes a brilliant gift to thank anyone, especially if they enjoy the odd glass of wine. 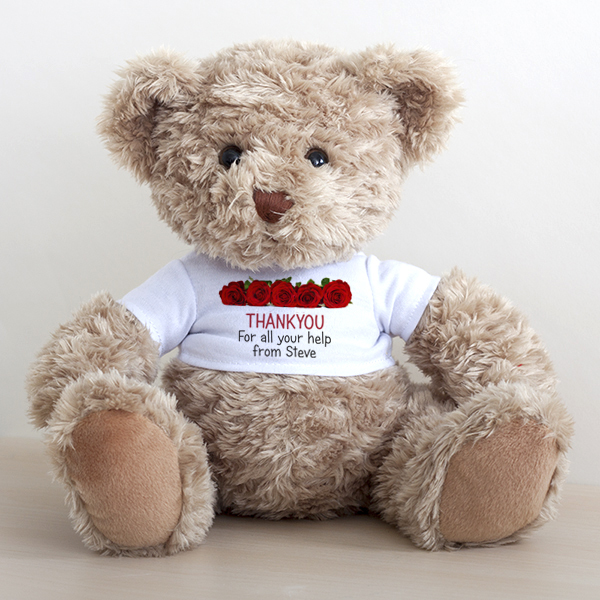 Say 'Thank You' to a special someone with this unique Personalised Thank You Message Teddy Bear. He is wearing a lovely T-shirt which is printed with any message you would like. These fantastic Thank You Sweets make a brilliant gift idea for a special teacher, a member of your Wedding Party or a gift to thank Mum and Dad for all they’ve done for you. When they open up their box they’ll be met by the words Thank You with each written on one of the boxes. Each box contains a different kind of sweet and there’s bound to be something for everyone in there. A brilliant thank you gift that’s perfect for anyone with a sweet tooth so whether it’s to thank your Teacher for all of their hard work in term time or a gift to your Ushers on your Wedding day they’re sure to enjoy these wonderful sweets. SWEETS: 200g Cola Bottles, 150g Fried Eggs, 12 Love Hearts Mini Rolls, 12 Refresher Chews, 12 Fizzers Rolls, 150g Kola Cubes, 150g Jelly babies, 100g Super Shrimp. 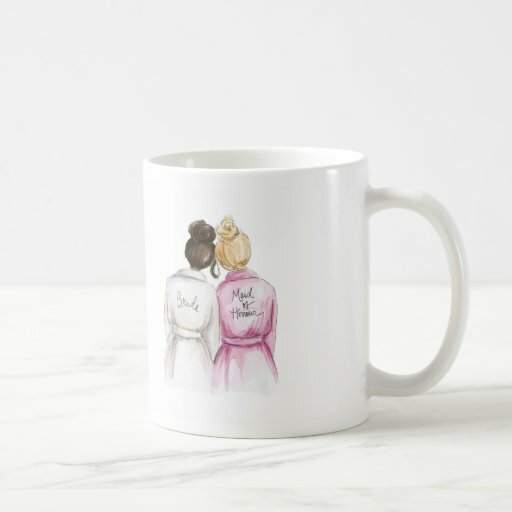 This custom THANK YOU Mug Dk Br Bun Bride Bl Bun MO Honour is designed on the mug and would interest those who like wedding, custom, gift, favour, invite, blonde, and bride stuff. Are you looking for a truly unique way to say \'thank you\'? Our personalised easel cards set the scene perfectly, with a spray of red, red roses to the top right-hand corner and your special message printed in your favourite font for free. This Flowercard brings a glorious array of tea rose, beautiful rose blanchette, and spray carnations into one peachy lemon extravaganza. Just add your own special words to make it the perfect surprise for that someone special. When words just don't seem sincere enough, this personalised bottle of fine, crisp and fresh Cava is the supreme thank you. The bottle's special 'Thank You' label is personalised with the superstar's name and you can add your own heartfelt message of thanks. May be they'll share it with you, and when the bottle's been emptied it will be a constant reminder of how grateful you were. Presented in a gold giftbox. Let this cheeky chappie from the Chilli and Bubbles range join you in saying thank you to a superstar. The character appears on a personalised thank you red wine bottle label, in the Chilli and Bubbles' style, which also includes the recipient's name and a message from you. The Italian wine is produced from Merlot grapes which are vinified using modern techniques. And when the last drop is gone the bottle and its label will keep the memory alive. Presented in a gold giftbox. If they deserve more than a simple thank you, let this bottle of red wine express your sincere thanks. The bottle's special 'Thank You' label is personalised with the superstar's name and your own message of thanks is included. The wine, a smooth well rounded Merlot, shows rich plum and damson flavours, is carefully vinified using all the benefits of modern winemaking techniques. The result is a full bodied red wine with a smooth finish, ideal for drinking with a wide variety of food dishes or savoured on its own. They'll know how grateful you really are when they receive this unique gift. Presented in a gold giftbox. A delightful gift of a white rose plant with a bottle of white wine and a box of Guylian chocolates bundled up with love just for you.You must be over 18 to buy this product. By adding this product to your basket you are confirming that you and the recipient of the product are over 18. Of course, not every boy, girl, man, and woman has exactly the same tastes, so we asked our Gift Gofers to select a variety of gifts of different types and at various prices. If you don't see a present on this page you think your recipient would love to receive as a Thankyou gift, use our Search option at the top of the page to tell us more about them: their age, hobbies and interests, and the approximate amount you want to spend, and the Gift Gofers will scamper off to their database and find some more great presents to suggest for you.